Eric Berlow gave a recent TED presentation on How Complexity Leads to Simplicity. 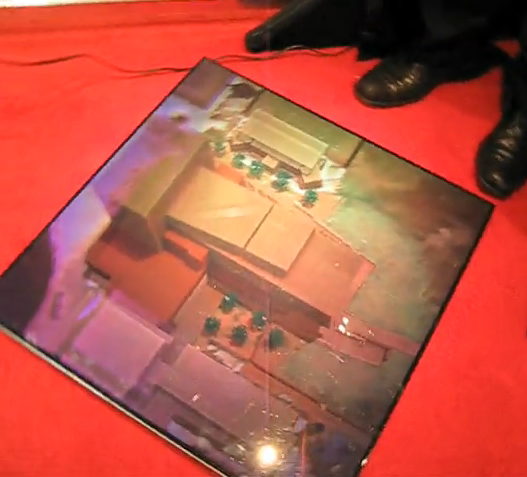 He used a series of visual images to define the interconnections of multidimensional objects as an active process. The images were a dynamic form of visualization centered on the idea of stepping back and looking at the context of a problem in order to see the simplicity of separate groups of relationships. Visualizing construction works in almost the same way. The association of any particular part of the building is only really understandable when related to the whole. For example, the installation of an electrical vault in a service area in a multistory building can appear complex. In fact, the closer you look at the installation, the more complicated it becomes. But step back and see the relationship of the vault to both the regional grid and the power network within the structure it serves and what was once a complicated object is “black boxed” into a simple self-contained unit, understood and managed by a subcontractor. The installation is thereby simplified by its context in the total system. Some saw this clearly in the movie Avatar. 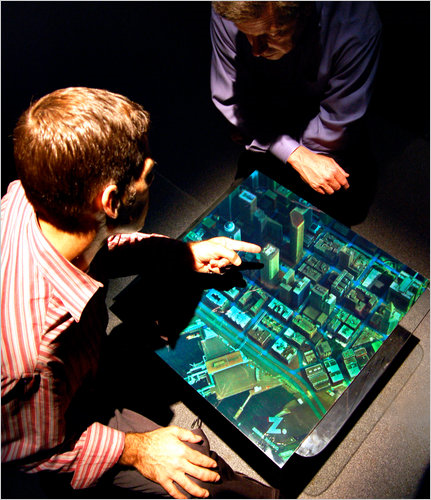 Using techniques that revolutionized film and visual effects, John Cameron was able to quickly transfer the physical complexity of a strange new world with a holographic projection that was not only a basic three-dimensional model, but a visual index to the data or information associated with that model’s geography. Today, Zebra Imaging is well known for its cutting edge displays for visual communications. 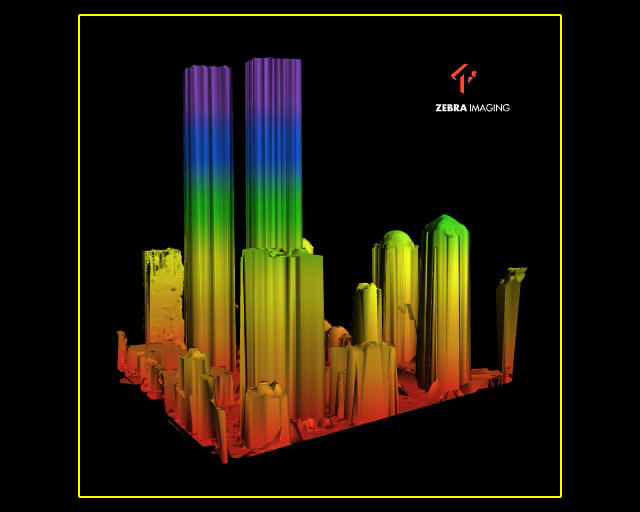 Translating the files of otherwise ordinary 3D models, Zebra uses digital holographic prints to create realistic representations that set a new standard for three-dimensional depictions of complex relationships. 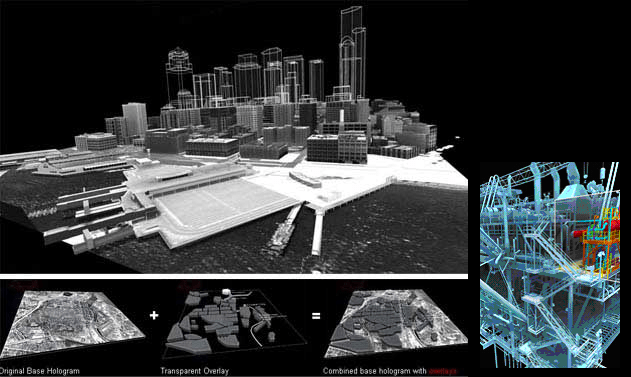 The company publishes these holograms for both commercial and military markets as a way to visualize information from point clouds, terrain models, and 3D construction models. 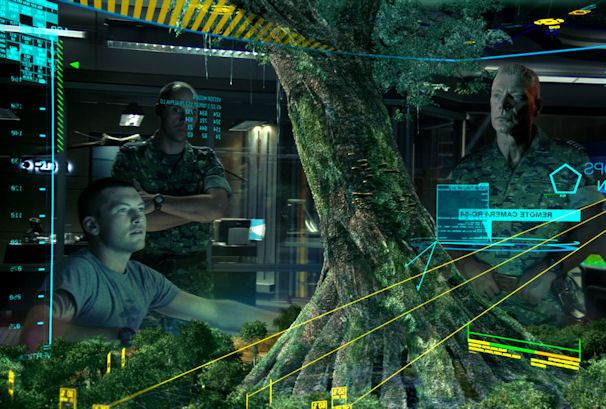 The prints are used to communicate the context of otherwise complicated processes by creating layers of visual data associated with different missions and projects that can act as the collaborative focus of team building and action oriented discussions on a jobsite – or battlefield. 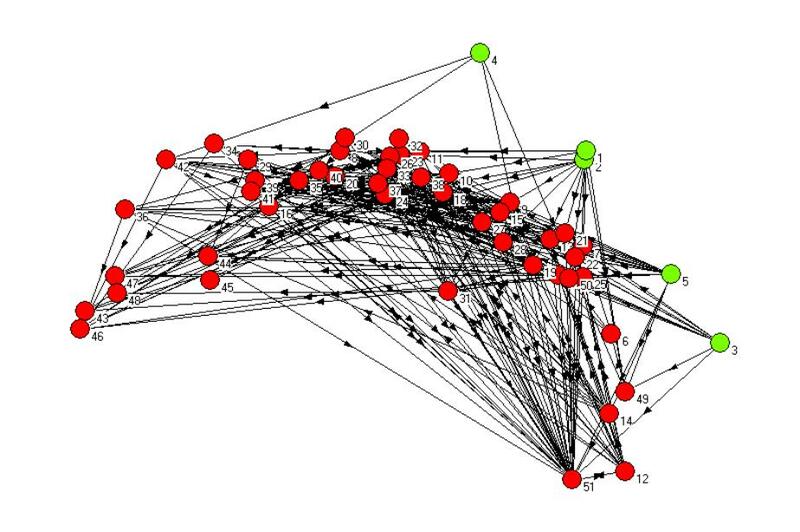 Microbiologists use similar visual technologies to communicate the complexity of organisms that would be almost impossible for a scientist to explain without multidimensional models. 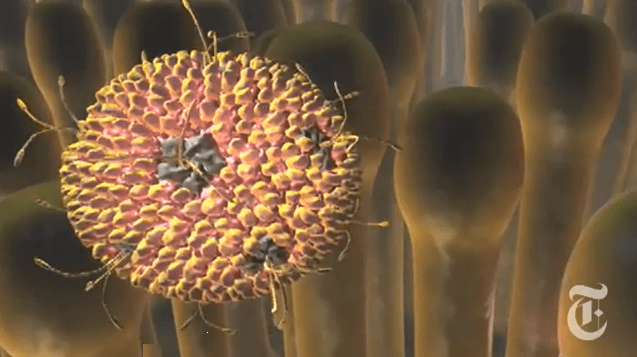 Borrowing from the game making industry, detailed animations bring complex structures to life in ways that graphically communicate how biological processes work in living organism. 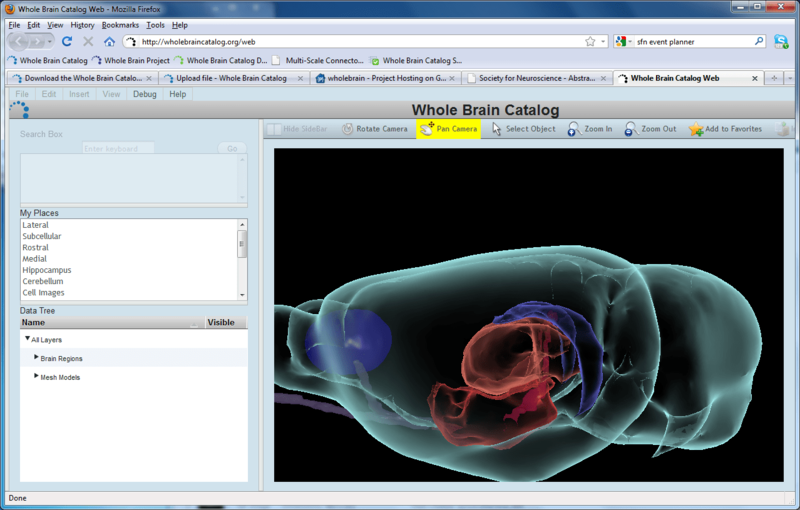 A particularly interesting example is The Whole Brain Catalog from the Center for Research in Biological Systems. This is an open source, virtual catalog of the mouse brain that allows viewer to interact with contextual information based on a “cyberinfrastructure “of visualization software. What we see is a blueprint for delivering multidimensional information on the web. This is a graphical communications system that goes well beyond antiquated two-dimensional drawings, straight into a brave new world where simple three-dimensional construction models are the basis for a deeper focus of any number of collaborative applications. The ability to graphically describe mass and motion in ways where an entire team can participate in the discussion is drifting quickly into the mainstream of public perception. These examples hint at the rapidly developing visual tools and systems becoming available for construction. Generations of constructors, struggling to leave their traditions of 2D construction drawings, are now being flooded by software innovations and an entirely new way of envisioning information while other companies and their clients embrace these new potentials.